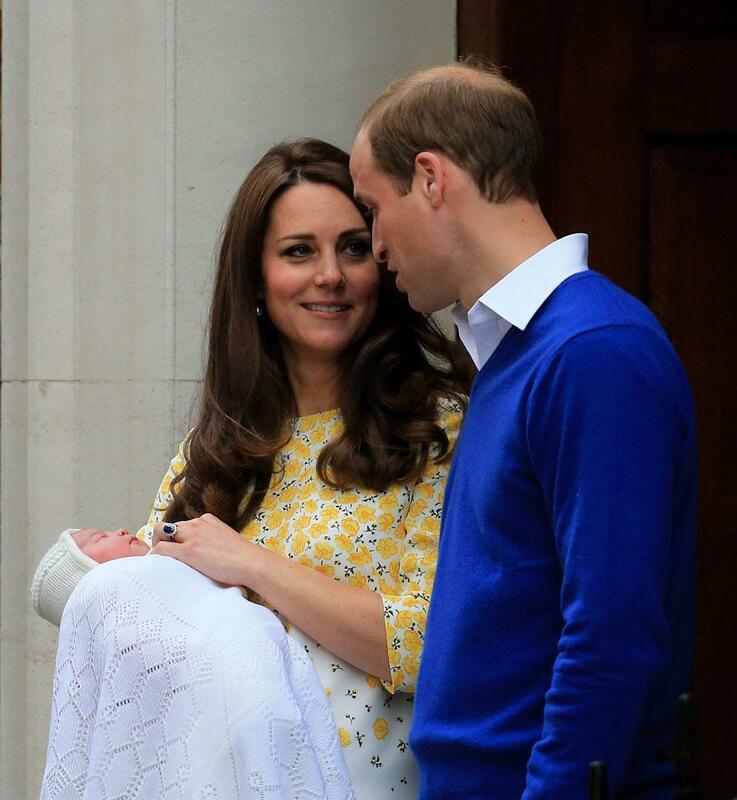 The Duke and Duchess of Cambridge — William and Kate — have left the Lindo Wing at St Mary’s Hospital with their baby daughter, The Princess Of Cambridge. She was born at 8:34am on May 2nd 2015, weighing 8lbs 3oz. She joins big brother Prince George Alexander Louis, 22 months. This entry was posted in Dad and Baby Photos, Mum and Baby Photos, Royalty. Bookmark the permalink.